To stand at the mountaintop in West Virginia it feels as if you could almost reach out your hand and touch the hand of God. It is truly Mother Nature at her finest. That is probably why John Denver declared West Virginia “Almost Heaven”. 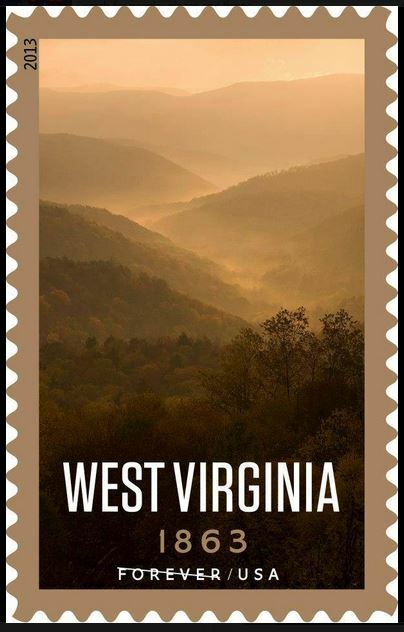 West Virginia is in all likelihood one of the most beautiful states you will ever visit with its majestic green mountaintops peeking above a shroud of fog like emerald gemstones around a lady’s silken white shoulders. Much of the state is still undeveloped leaving the mountains standing as a testament of beauty, strength, and power. The state lies entirely within the Appalachian Mountain range earning it the name “the mountain state”. In the spring the mountains are dotted with large purple blooms of the rhododendron, the state flower, and in the fall the hills turn a brilliant mix of reds and golds from the state tree the sugar maple. The mountains, however, are both a blessing and a curse for its residents. They have provided their natural resources of timber and coal to fuel the state’s economy but have also served as a physical barrier which shields the residents and cuts them off from the rest of the world. In fact, the Appalachian Mountain Ridge is what created the divide between Virginia and the western part of the state resulting in political divisions during the nation’s Civil War. The mountains were a physical barrier making communications between the two parts of the state difficult in the days before modern conveniences relying instead on having to physically cross the mountainous range for news of happenings in the capital of Richmond. The mountains also served as a socio economic barrier between two distinct types of people. The eastern and southern parts of Virginia were composed mostly of people born in Virginia who were descendants from merchants and the wealthy classes of England. The western part of Virginia’s population was settled by immigrants of German and Protestant Scotch-Irish heritage. Many also came from Pennsylvania and states farther north. In the eastern and southern portions of Virginia many owned large plantations where they grew cotton and tobacco and were heavily dependent upon its slave population. However, in the rugged mountainous regions of western Virginia where most owned small farms and grew small crops for their families, slavery was unprofitable. The mountains served as a divide between the two parts of the state thus emphasizing the social, political, economic and cultural differences. These differences came to a clashing climax during the Civil War over the vote of whether or not to secede from the Union. When the vote to secede was taken in Richmond on April 17, 1861 the counties in the western part of the state almost immediately voted to secede from Virginia and not go along with the secession from the Union. The counties in northwestern Virginia sent delegates to a convention in Wheeling May 13, 1861 where forming a new state was discussed. However, things did not go smoothly in creating the new state. If you think politics are bad today they pale in comparison to the days during the Civil War. The delegates to the Wheeling Convention were never actually elected by the public. Many were chosen irregularly—some in mass meetings, others by county committee, and some just appointed themselves. When this haphazard group met they appointed only Unionists to hold state offices. The actual popular vote for statehood is also questionable. The vote was 18,408 for and only 781 against. The Union army that occupied most of the area at the time stationed themselves at the polls and prevented Confederate sympathizers from voting. It was reported in one county that of the 195 votes cast only 39 were by citizens of the state and the rest were cast illegally by Union Soldiers. In spite of everything the application for admission to the Union was made to Congress and President Abraham Lincoln signed it on December 31, 1862. The rogue western counties of Virginia were finally recognized as the 35th state of the Union on June 20, 1863 known as West Virginia. However, their troubles weren’t over yet. The Virginia General Assembly repealed their act of secession and in 1866 brought suit against West Virginia asking the court to declare the counties as part of Virginia and declaring West Virginia’s admission as a state unconstitutional. The Supreme Court decided in favor of West Virginia in 1870. In addition, the returning Confederate soldiers threatened to overturn the new government. In order to retain control, the new government stripped the returning Confederates of their voting rights. The property of Confederates might also be confiscated and in 1866 a constitutional amendment disfranchising all who had given aid and comfort to the Confederacy was adopted. In a war that thrust brother against brother it was most evident in the new state of West Virginia. It is estimated that approximately an equal number of Union and Confederate soldiers came from the state. Also, approximately an equal number fought on both sides at Gettysburg. West Virginia is the only state to be created by the Civil War. Nevada was admitted to the union in October 1864 however it was first a US Territory. West Virginia is a unique state in that people can’t decide whether it is a northern or southern state. It is situated right in the middle and in fact the Mason-Dixon Line goes right through it. It has been called the most southern of the northern states and the most northern of the southern states. The accent seems to reflect this. When I have traveled north people ask what part of the south I’m from and when I travel south I’m asked where in the north I’m from. West Virginians are known to be warm, friendly, helpful, and sometimes clannish. I recently talked with someone who lived in West Virginia for a while and he said the first time someone spoke to him on the street he was so shocked he didn’t know how to respond. If you are looking for a change of pace, want to reconnect with life and nature, pay a visit to God’s beautiful garden. Take a thrilling rafting trip down the New River Gorge or a leisurely ride to the top of a mountain on the Cass Scenic Railroad. Take time to listen to blue-grass mountain music which goes back to the Scotch-Irish roots or tour an abandoned coal mine. Camp along a mountain stream or go to the posh White Sulfur Springs where presidents have stayed. Time in West Virginia is time well spent.